Grief is the natural process that one goes through after suffering the loss of a loved one. We at AmericanFuneralHomes.com realize that mourning a loved one is a painful and personal experience that extends well beyond the funeral. That is why we are committed to providing support, guidance, and education to, the families that we serve, persons in the community who are grieving, and professional caregivers. Our full-time bereavement staff is specially trained in grief and loss, and understand that this is a difficult period of readjustment. A grief counselor is available to families during and after funeral services. We lend a compassionate ear for mourners as they work through the feelings and concerns that arise during grief. We offer grief support groups in a wide variety of locations. Groups are designed to provide education about the grief process, while allowing members to share their unique experiences and learn from others in similar situations. These groups are open to anyone in the community who is bereaved at no cost. For those who are grieving, the holiday season can be a particularly difficult time. This educational and supportive program provides practical tips on how to cope, along with an opportunity to honor and remember loved ones. This program is offered in a wide variety of locations at no cost to anyone in the community who is bereaved. Additionally, we offer a pocket journal to those who are grieving entitled "A Year of Special Days: A Journal for Coping with Grief." 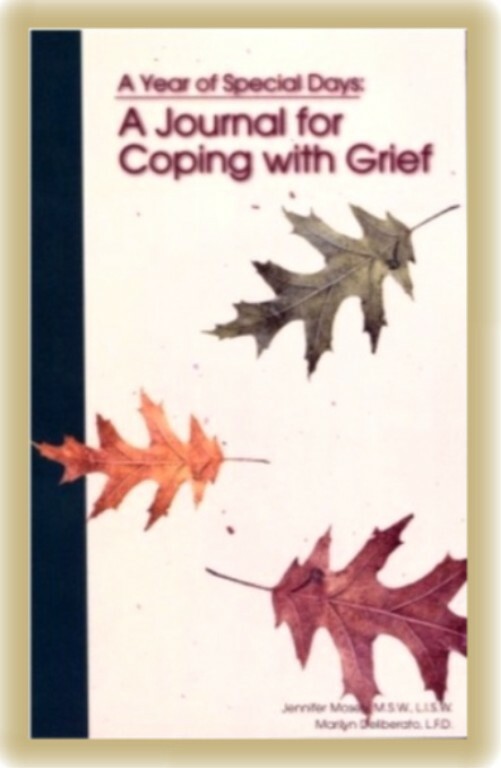 This is a guided journal to help the bereaved cope with major Holidays throughout the year. This book is now available through AmericanFuneralHomes.com for just $4.95 plus shipping and handling. Our trained staff provides a variety of educational opportunities for individuals, groups, businesses, and professionals. These programs are scheduled periodically throughout the year. Programs are tailored to each group's needs, and range from basic to advanced information on topics related to illness, dying, death, funeral practices, bereavement, self-care, compassion fatigue and other loss issues. AmericanFuneralHomes.com has a wide selection of pamphlets and handouts that are available to grieving family members or concerned individuals. Available topics include general information about the grief process, children's grief, how to help a grieving person, and information specific to the type of loss and relationship.